Well people have Christmas in July so we are having a Halloween party in June of sorts. 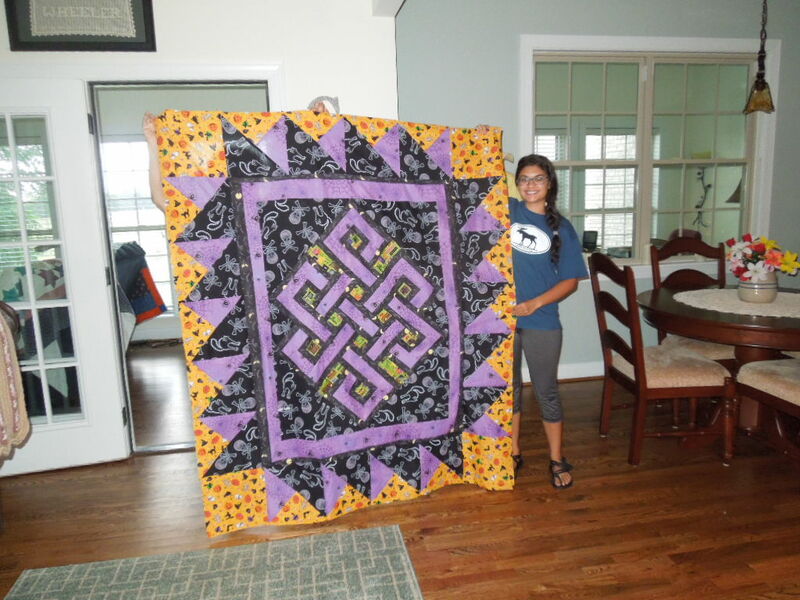 Today my sweet neighbor wanted to learn to quilt so she came down to our Sunday meeting. Linda was more than glad to teach and mentor her and I was more than glad for the company and also the learning experience. I normally do not cut, I am learning. Gary used to do all my cutting but I am trying to take some work off him and also I want to learn so I can cut when I need it. Well that means when we are sewing a lot of the time Linda is cutting handing to me to sew and now today I saw the process from the beginning to end. I guess you wonder what is wrong no one used the long arm.. Well do not get me started *&^$#$ it is down for the count again after having a service doctor here this week I do not know what is going on but I need to find out soon we are getting behind. 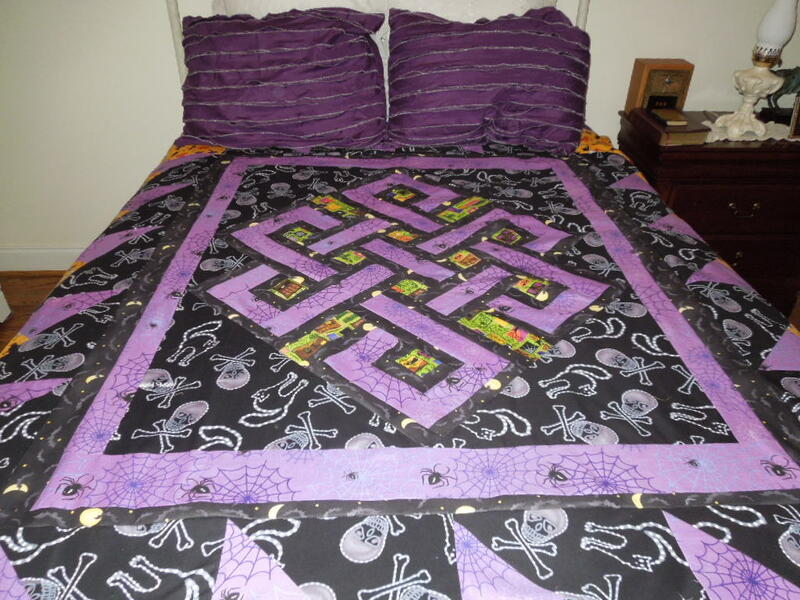 Here is Ali’s Happy Halloween Quilt. I look forward to seeing her make many more beautiful works of art. This entry was posted in 2014, Main, Tin Lizzie. Bookmark the permalink. teach Ali. From what I hear, a good time was had by All 3!!! Look Out, Fred Hunter will be showcasing them soon on Channel 6!!! I see she used Linda’s celtic pattern. It turned out nice. Hope you get the long arm up and working soon.